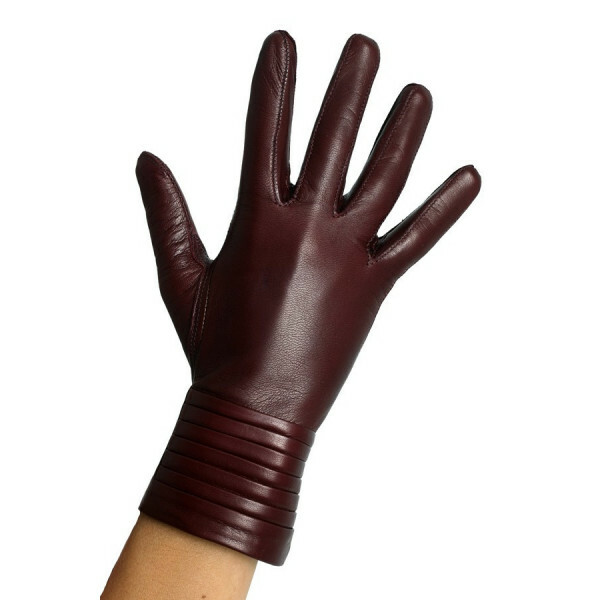 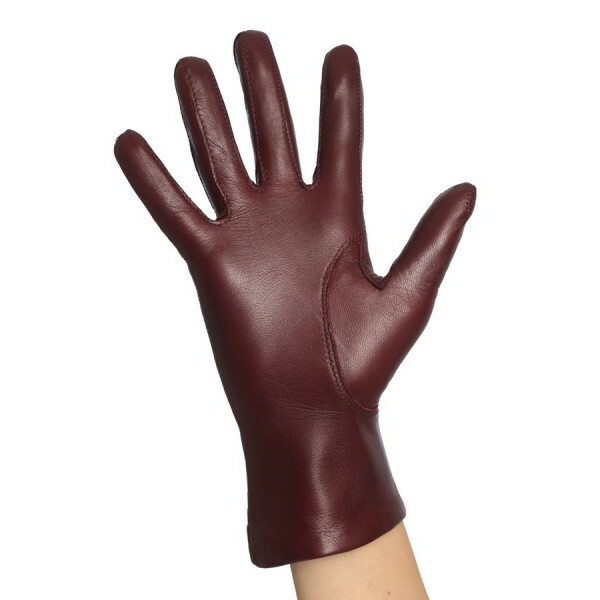 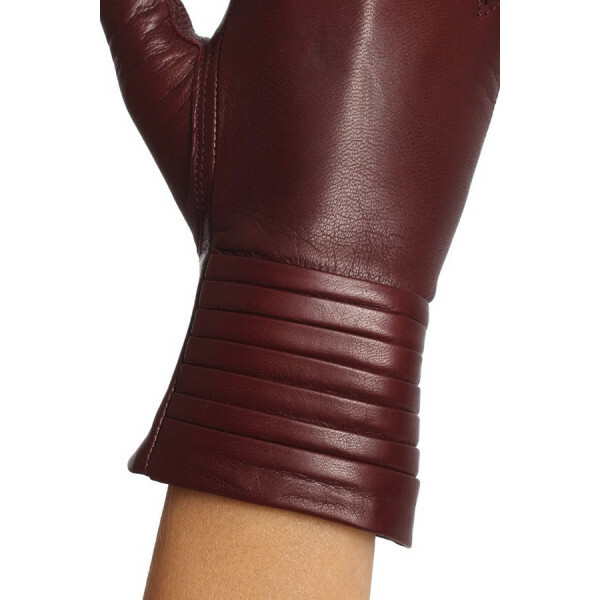 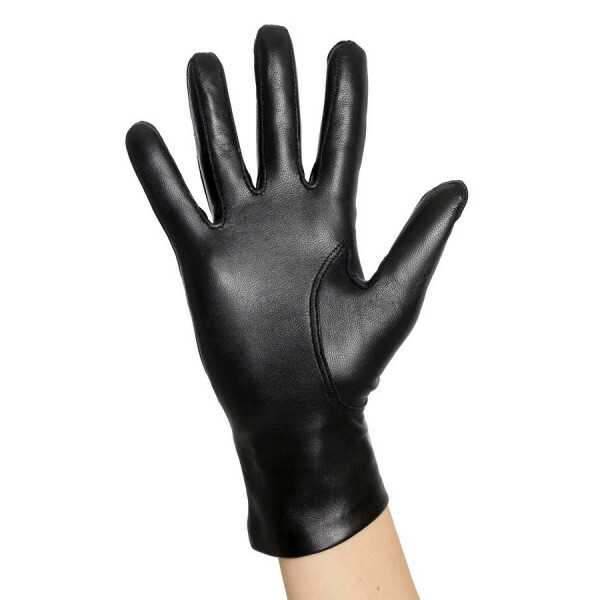 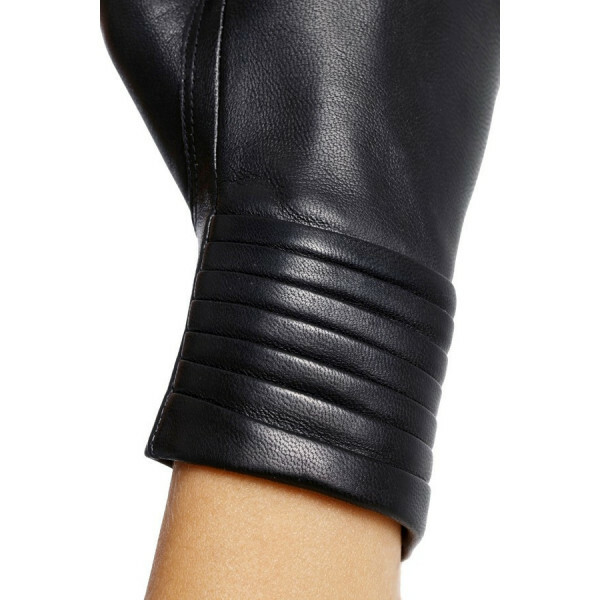 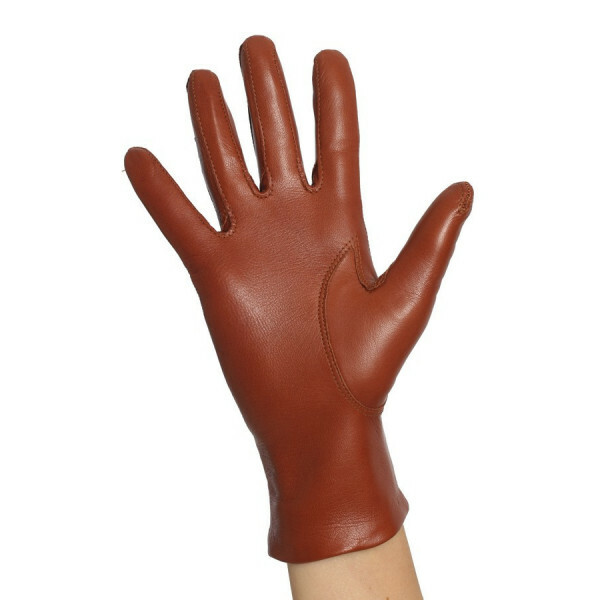 Sax leather glove slightly flared up on the wrist adorned with a lovely leather drape on the top. 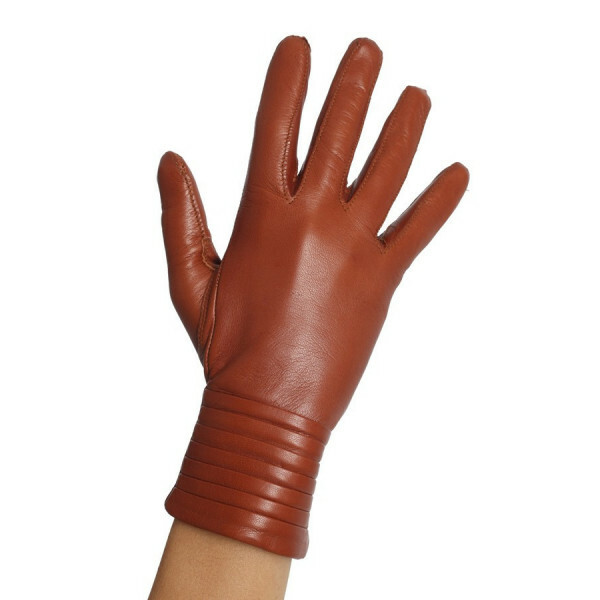 Classic but not too much, Its length allows not to let the cold under the coat. 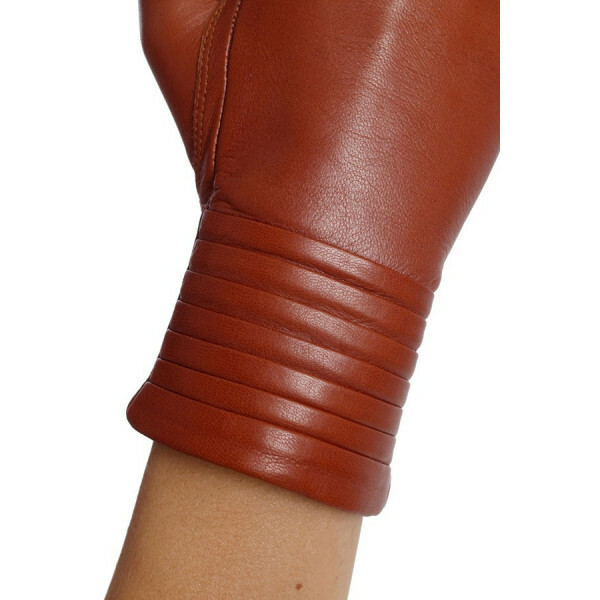 Ideal in winter !